I am pleased to announce the launch of the C5 Innovation Leaders Channel. You can find a link to our new channel below. The Hoover Institution hosted a public panel discussion “Africa In An Emerging World” on Monday, January 14, 2019 from 4:00pm – 5:15pm PST. Africa will be home to much of world’s population growth in coming decades, giving it a young, growing, and increasingly urbanized population. At the same time, it faces economic challenges and will acutely feel the effects of a changing climate. The discussion will explore what these demographic and environmental dynamics, alongside the promise of advancing technologies and new means of communications, will mean for governance and development across the continent. Moderated by Ambassador George Moose, United States Institute of Peace and former assistant secretary of state for African affairs. This event was open to the general public and part of a series led by George P. Shultz whose intention is to learn from our changing world, to map our governance options in response, and to help structure a variety of efforts going forward. Although the word “warfare” sits uncomfortably at a business conference, I want to commend the Milken Institute for the necessary frankness of our theme for today’s session. We live in an age of unpeace. Whether it is the constant aggression of nation states like Russia and Iran towards the West and our allies, or China’s stated intent to become the AI superpower by 2030 built on what General Keith Alexander describes as the “largest scale theft of IP in history”, we are living with the reality of a digital world at war. Our theme today is also accurate in its second part- linking the defence of the two crucial domains, space and cyber, together. I am delighted to see so many members of the US Airforce (USAF) in the audience today. The USAF is the custodian of GPS, which is one of the most critical networks of our global economy, which touches every aspect of our lives, including cyber. The US Government made GPS available to everyone in 2000 as one of the great global commons- like the internet. GPS was the first step to link the promise of the space economy with the innovation of the terrestrial digital economy. By doing so America has in a characteristically altruistic way enabled significant innovation and economic growth worldwide for everyone. Today, however, increasingly GPS- like the internet- is being blocked or spoofed by strategic adversaries. We witnessed this vividly during NATO’s recent exercises in Scandinavia when Russian electronic warfare is reported to have disrupted GPS in Finland and Norway. As Nick Shave shared with us today the costs of a GPS outage is calculated at USD 1.5 billion per day to the UK economy exceeding all the damage to date from cyber attacks. It is therefore no surprise that In the doctrine of the Chinese People’s Liberation Army (PLA) cyber is regarded as a dimension of space warfare. China sees space as the strategic high ground for cyber warfare. Winston Churchill reminded us of another important domain when he said that the empires of the future will be empires of the mind. In the Chinese PLA’s doctrine space is the strategic high ground for cyber, but cyber in turn is the strategic high ground for psychological warfare. The PLA uses cyber for psychological warfare externally to disrupt its adversaries and internally to suppress dissent and to establish social control. These are the new empires of the mind that are being built in an era of great power rivalry. We often hear comparisons of the innovation economy in the US and the UK with that of China, but it is important to grasp that the Chinese model is a radically different proposition to ours. The application of cyber and AI for internal controls means that China and its close allies are building technology based authoritarianism. This is in sharp contrast to our open systems and the underlying altruism of our innovation economy that enables our freedom of choice, even if the luxury of having so many choices and so much convenience can at times be overwhelming to us. The ultimate prize in this tournament of shadows is speed. Whoever masters speed will steal a march. And speed is a consequence of cloud based big data that enables machine learning, AI, and ultimately, cognitive systems. Cloud has enabled us to aggregate more data in the last few years than in the preceding 2000 years. This in turn enables us to learn from patterns in data on an unprecedented way. This enables us to bring the transformative power of different forms of AI to bear on real world problems. As Alex Younger, the Chief of MI-6, said in his recent remarks this is a contest for the future of knowledge itself. In the last 5 years China has invested in more than 60 percent of all AI deals worldwide using its Communist Party controlled platform companies like Baidu, Alibaba and Tencent (BAT). Russia, lacking similar platforms, will be loser in this new global AI arms race. Russia as a lone wolf, because of its cyber aggression, is destined to become a price taker of Chinese AI technologies. How do we then defend space and cyber? As Jamil Jaffer of IronNet shared there is only one effective defense model in the 21st in the Century- collective defense. Jamil explained how this can be applied to create a network of networks defence for enterprises and governments based on machine leaning. Collective defense also means creating new partnerships and alliances. Governments on their own can no longer drive innovation. In this venture capital has a crucial role to play in the private sector working with Enterprises and Governments. In the West we invested about 4 billion USD in cybersecurity venture capital deals in 2017 and about the same amount in AI venture capital deals. Seventy percent of these VC dollars are invested in the US with the UK following as the next centre of excellence. This is however not nearly enough. We need to continue to scale the VC dollars that builds innovation in these spaces with new partnerships. Venture capital co-investment is one way to do so whether with Government, for example the UK’s new national security innovation fund, partnering with corporate venture capital or with university endowments. Collective defense also requires that there must be a point where we draw a line under commercial competition in the national interest and in the interest of the defence of the realm. This is a critical responsibility for us as business leaders. We cannot allow the ruthless pursuit of profit to sabotage critically needed national security innovation to protect our populations and warfighters. This responsibility is as important as our responsibility as business leaders to state consistently and clearly that we have countries and freedoms worth defending. If we do not shoulder these responsibilities with a sense of urgency, we will have succumbed to our adversaries’ psychological warfare. We will have surrendered our precious freedoms for generations to come. Finally, we need leadership to build new partnerships and alliances around how we train and find talent, continuously enable a culture of innovation and create the right regulatory frameworks to protect our innovation gains. As you can see much needs to be done to defend space and cyber. But as General Keith Alexander, the CEO of IronNet, reminds us this fight can be won through collective security. We now have to grab the day. André Pienaar will be part of a panel discussion entitled ‘Digital Warfare: Defending Ourselves in Space and Online’ at the Milken Institute as part of the London Summit 2018. Bringing together many of the leading minds in business, government, technical, philanthropy and media, the Milken Institute’s 8th annual London Summit will host a number of discussions tackling the most provocative and important questions of our time. The ‘Digital Warfare: Defending Ourselves in Space and Online’ panel discussion will include a discussion on the overarching themes of cyber warfare, cyber security and space technology. Andre will share his thoughts on recent high-profile hacking episodes and what organisations can do to prevent future threats. There will also be discussion on several related, equally important topics such as the emergent protective technologies and how these current threats affect the way we conduct interstate relations, trade and warfare in the future as well as discussion on how military and civilian companies can work together to combat these pervasive, modern threats. The panel discussion will be moderated by Kevin Klowden, Executive Director at the Center for Regional Economics and California Centre, Milken Institute. 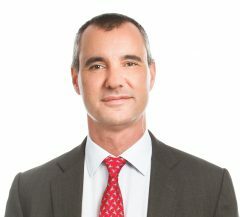 The panel will also include Drew Bagley, Vice President and Counsel, Privacy and Cyber Policy at CrowdStrike, Jamil Jaffer, Vice President for Strategy and Business Development of IronNet Cybersecurity and Nick Shave, Director of Strategic Programmes, Inmarsat; Chair, UKspace Security and Defence Committee. The event will take place of Tuesday, December 4 between 10:15-11:15am at Park Plaza – Place 4-6. Welcome remarks to the innovation and social impact investment dinner during the AWS Imagine Conference in Seattle. Napoleon said that in war, the moral forces are three to one. In C5, we believe the same about investment and about innovation. It therefore gives us great pleasure to host the second dinner on social impact investment and innovation during the AWS Imagine Conference in Seattle this week. Why is C5, as a venture capital firm, a partner of AWS? AWS is not an investor in C5. As a venture capital firm our investor families decided to partner with AWS, not because of money, but because of the moral forces. This may sound like an uncommercial way of thinking by our investor families, but let me explain to you how we think in C5. Venture capital is all about building profitable partnerships with successful entrepreneurs. AWS’s support for startups and entrepreneurs worldwide is simply unrivalled. We are often amazed to see how an almost trillion-dollar company like Amazon can focus on the success of a small startup that runs on AWS. Our family investors are investing to help make a difference. We had an inspirational day today sharing innovation for not-for-profit missions with each other. 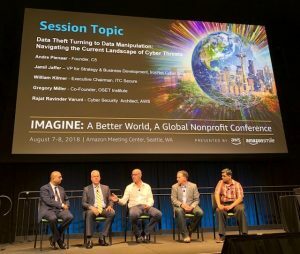 As evidenced by the Imagine Conference, we can also say that AWS’s support for not-for-profits and their missions worldwide is exceptional. Finally, AWS and its people’s consistent quest for innovation struck a chord with us. We share a belief that innovation is not only about improving products and services for customers but also about creating new models for serving others. 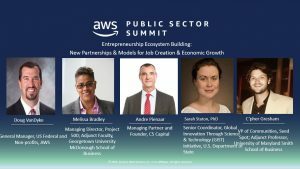 It is a combination of these three factors that led C5 to join the AWS Activate programme through which AWS supports accelerators and startups worldwide. Now, let me share with you our experiment in innovating social impact investment. C5, with the PeaceTech Lab, AWS and SAP NS2 run an accelerator in Washington DC that focuses on peacetech. The term “peacetech” may be completely new to you. What does “peacetech” mean? Peacetech is about the drawing on all of the strengths of American innovation for good rather than for bad. American innovation is unique. It is uniquely built on an open innovation model. This model not only shares the benefits of its innovation worldwide, but also often shares the actual know-how with partners. The world has benefited exponentially from this model over many years. This has been accelerated by cloud computing, which reduces the costs of computing power for everyone by 50 percent every three years. This is an extraordinary boon to the global economy. The pace at which cloud is reducing the cost of computing power makes innovation more accessible to everyone, year on year. The top 10 cloud computing companies are all American. The cloud sector is a great strength of the US economy. Cloud is the beating heart of innovation today not only in the US but worldwide. In the PeaceTech Accelerator, we do this with our partners by building a network of more than 1,800 entrepreneurs, who are really young leaders, many of them from conflict-affected countries who are dedicated to this mission to innovate the way in which we develop countries and manage conflict. To give you just 3 recent examples: Anona helps subsistence farmers in East Africa use blockchain to bring transparency to the way they get paid in the supply chain to supermarkets by cutting out the middle men; Hala Systems help to protect civilian populations through cloud linked sensors from air attacks in the Syrian civil war; Video Volunteers empower citizen journalists in India to help achieve factual and accurate media reporting. Practically, this means that we help scale these startups by giving them 5 C’s during their time in the Accelerator: (1) We build the capacity of the team; (2) We help them to get smarter about using the cloud; (3) We work to win transformative clients; (4) We teach how to raise capital and; (5) We certify the startups at the end of the programme. We build this partnership through an intensive programme of mentorship on campus over 8 weeks. We are privileged to have an amazing and committed community of mentors, each a leader in their field, who volunteers their time to help scale the startups. Our accelerator is an experiment in innovating early stage venture capital and social impact investment. Innovation requires resilience because it can bring great adversity to the innovators. I am reminded of Jumo Games, one of our first startups, that bring communities together through gaming in the world’s poorest country in the midst of a devastating civil war. No one knows this adversity better than our entrepreneurs who are building their businesses against the odds, often out of poverty, to help bring peace in conflict-affected countries. We want to say a heartfelt thanks tonight to our resilient partners: to the Peacetech Lab, to SAP NS2 and to AWS; to our mentors; and most importantly, to our entrepreneurs, for your strength of commitment. This, is the freedom of innovation. 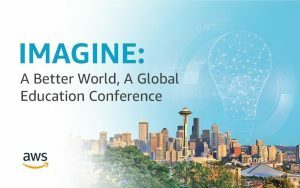 C5 Founder, Andre Pienaar, is delighted to host a dinner on innovation and social impact investment at the AWS Imagine Conference 7-8 August in Seattle. C5 is a specialist global venture capital firm focused on cyber, cloud and AI. These 3 areas are closely intertwined and we call them collectively the secure data ecosystem. When we think about investing in Africa we see on the one hand exciting opportunities and on the other hand challenging cybersecurity risk. As you will see from my remarks the opportunity outstrips the cybersecurity risks. 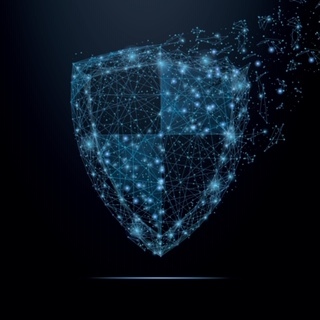 The cybersecurity risks can be mitigated by determined action, good policy and by building partnerships and coalitions for safety and security. Africa is the future in the 21st century. It is the only continent that will produce a billion young people by 2050. Africa continues to have some of the world’s fastest growing economies. We are only at the beginning of a process of integrating markets across Africa under the leadership of the Africa Union (AU). We are just at the beginning of the continent’s digital transformation with internet penetration at only 25 percent across the continent vs 50 percent worldwide. Anona, a blockchain base startup that connects East African farmers directly to the food retailers in Europe and the US; Dropque, a talent platform from Nigeria that helps young people to find employment; Superfluid Labs, an AI startup from Ghana that helps African businesses utilise the power of AI to increase profitability. The C5 Peregrine Partners Fund, a late stage investment fund, specifically invest in partnering with fast growing cloud-based technology companies to invest and grow in Africa and the Middle East. ParcelNinja, a cloud-based warehousing company in South Africa is a good example. C5 Cyber Partners I and II Funds cybersecurity portfolio companies support their clients with products and services in the African markets. A good example is the ITC Secure that provides cybersecurity advice to International Development Partners and its portfolio companies. C5 runs a global innovation challenge in anti-corruption called Shield in the Cloud. In the 2017 challenge we awarded the prize for the most innovative startup to Ushahidi, a Kenyan startup that promotes transparency. Africa has an opportunity to leapfrog by leveraging cloud infrastructure in a similar way to the mobile phone revolution that started in the nineties. From 1998 to 2017 the SIM card population in Africa grew from 4M to more than 731M SIM card users. This transformed every aspect of business across Africa and added 2-3 percent of economic growth as mobile phone penetration increased exponentially. As a result, today Africa is the most advanced economy in mobile money in the world. President Ramaphosa of South Africa recently presented the visionary idea of building on this vibrant mobile money economy to leapfrog to a continental digital currency. Such a bold move can further help to grow inter-African trade, stimulate economic growth and provide transformative poverty alleviation. In a similar way, only the digital economy holds the promise of scaling access to education for Africa’s young people. The World Bank this year recognised this strategic opportunity with its investment initiative focused on growing the digital economy in Africa. It is possible that Africa’s KINGS- Kenya, Ivory Coast, Nigeria, Ghana and South Africa- can help drive the growth of the digital economy across the continent. These 5 economies have the following attributes in common – underwater sea cable connectivity, emerging ecosystem, startup hubs with a focus on consumer and fintech, leadership that champions the growth of the digital economy and good policy. Venture capital has a critical role to play. Venture is the life blood of the digital economy. Africa lags behind global VC funding. Global VC investment last year totalled USD 167 billion and Africa’s share was a very modest 250M. We have, in the past few weeks seen the dramatic headlines of several high-profile hacks in South Africa. This is, however, not a challenge peculiar to Africa. More than a billion individuals had their personal information compromised in 2017. In every minute on the internet, there are at least two worldwide hacking incidents. It is a common global challenge to secure the new digital world we are creating for our children. Transnational crime. The displacement of the narcotics trade from Latin America and Asia to Africa as the principal smuggling route to Europe and the US continues to distort African markets. In the wake of the narcotics trade have come several other areas of criminal activity including sophisticated cyber criminals. A lack of local and regional service providers. Worldwide there are more than 22,000 cybersecurity service and product companies but less than 10 percent has a presence in Africa. The ones who do often provide legacy products rather than being at the cutting edge. Africa needs more local cybersecurity entrepreneurs. Good cybersecurity is dependent on good policy. Although the Africa Union has drafted a comprehensive cybersecurity convention, only Senegal to date has implemented the convention. The majority of countries have no cybersecurity laws or regulations. Lack of state infrastructure. Cybersecurity requires a public and private partnership. With the majority of African governments lacking trained staff and national capabilities, the private sector may have to make a bigger contribution initially to help kick start national capacity building on scale. In terms of international law enforcement partnership this may well become an area of training as important as counter terrorism going forward. In conclusion, we all need to contribute to help ensure the opportunity of the digital economy in Africa continues to outpace the risks of cybersecurity. This responsibility lies at all levels- the individual, the enterprise, the state and the AU. Only a collective effort will enable Africa to have the full fruits of its digital economy’s promise.